The Bell Park Pavilion, which was an elegant building with fine carving above the windows, has seen better days. It is one of several garden buildings erected for the Wharton family of Gillingwood Hall. The early 18th century doorway built into a short length of wall was the entrance to Gillingwood Hall. At the back are signs of burning from the fire that destroyed the old hall in 1750. 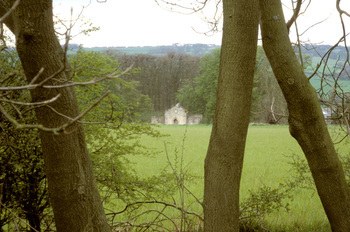 Blackhill Folly is an eyecatcher on the skyline facing Hartforth Hall. 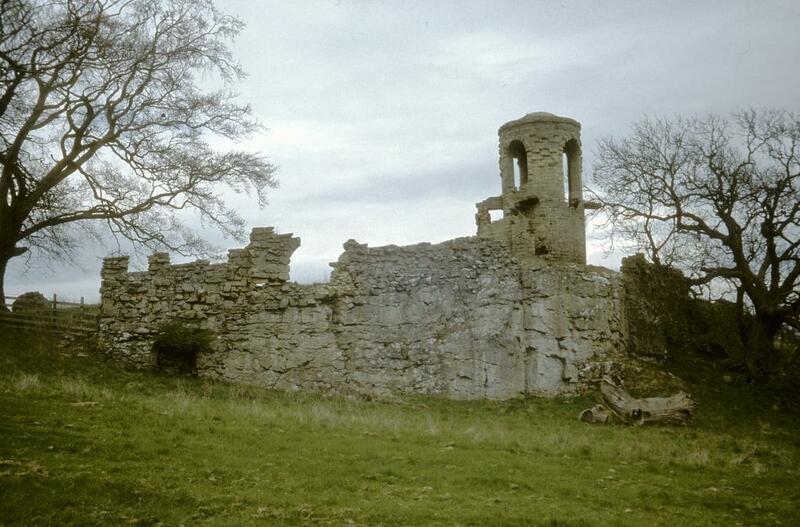 It was built in about 1800 as a fold yard for cattle. It was probably designed by John Foss, for the Cradock family of Hatforth Hall. The hay barn on the hillside opposite Hartforth Hall entrance drive was probably built in the early 19th century for the Cradock family. It has recently been developed. The Arch at Hartforth Hall is 15th century and appears to be a rebuild of a ruined gatehouse of a monastery or fortified manor house. The three-storey water tower at Hartforth Hall was built in the late 19th century for Major Sheldon Cradock. A plaque states that the clock was installed in 1902 by Major Cradock to commemorate his family's participation in the Boar War. This farm building may have been designed by John Foss in about 1800. A new house on the site of Home Farm is now the principal house on the Hartforth Estate. It was designed by Digby Harris of Francis Johnson and Partners and was the winner of the 2009 award for 'New building in a Georgian context. The orangery and fruit store that was built for Sedbury Hall in about 1800 has now been converted into cottages. The icehouse at Sedbury Park, in Laurels Walk Plantation, was made in the late 18th century. Below The Rock there is a barn with a castellated roof.